We'll start with some lunch at a classic Gold Coast craft beer bar, where each meal paired will be paired with a paddle of cold frothies. Here we will dive into the history and ingredients of beer and revel in one of Gold Coast's best beer venues. After some lunch, we'll duck into a residential neighbourhood to be surprised and delighted with what Black Hops has on tap; here we will have the chance to check out their brewery and taste their fresh brews. If head brewer Michael "Govs" McGovern is around, he'll take time out to answer questions you may have and tell the stories behind each of the beers on offer. The newly opened Lost Palms Brewing has taken a unique, chilled-out vibe to their space, filled with bright colours and thirst-quenching beers. Comfy couches mean you can sit back and sip your brews in comfort. From here we will move on to an original and iconic Gold Coast brewery: Burleigh Brewing, where we will walk through the brewery and learn about their history as the longest-operating brewery on the Gold Coast. Taste their core range, plus maybe a "bit on the side" (seasonal release beers) and marvel at the size of their brewery. Of course no trip would be complete without the so-hot-it's-cool Balter (maybe we'll even spot a surfer or two! ), where beach meets beer. Award-winning brewer Scotty Hargreave creates some delicious beers to keep you refreshed, and we'll have a tasting paddle here. The day will see us visiting THREE of the FOUR breweries on the Gold Coast, along with lunch. Throughout the day we keep you well-fed and full of delicious beer, with plenty of samples accompanied by tasting notes and witty commentary. The brewers are happy to show you the ropes, help you understand the brewing process and answer any questions you may have. 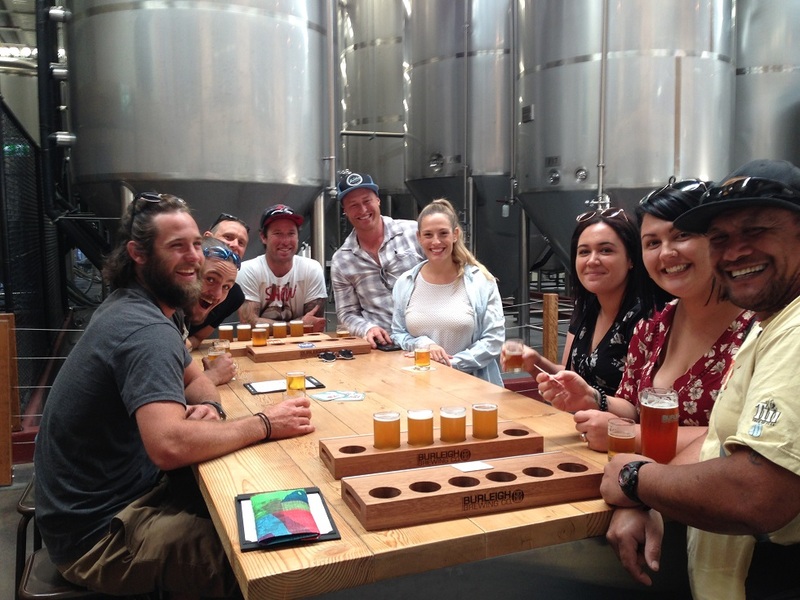 Whether it's a hot day and you need a cool drink or it's a cool day and you want to warm up, our Coldie on the Goldie tour is perfect for all occasions. Don't forget to bring a photo ID with you. All your friends may know you're of-age, but it's only the first time we've met, and we'd hate for you to get turned away from any of the breweries by looking too young to appreciate good brews. Strictly no drinking on the vehicle. Please note that we are visiting working breweries and it’s suggested you wear closed-toe shoes so you don’t miss out on any of the fun. Also, since they don’t always run on a set schedule, we will try and catch the brewers in action but that can’t always be guaranteed; keep an open mind on the day because no matter what or who we see, the beers are always epic. Sometimes the itineraries will change at a whim; this may be because of traffic, a last-minute decision from the brewery or any number of things, so we ask for your patience and flexibility.